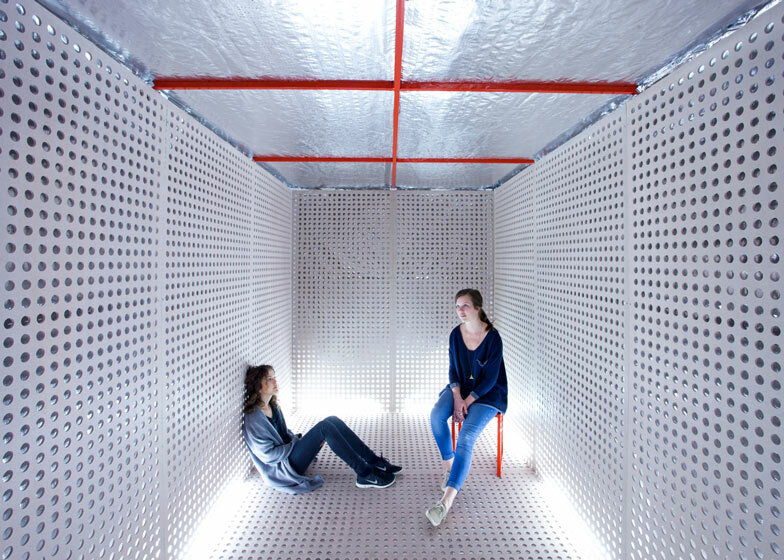 Sibling's ON/OFF installation creates a disconnected "cold spot"
This temporary event space by Australian design collective Sibling features a Faraday cage that blocks mobile reception and Wi-Fi signals, creating the "ultimate disconnection space" (+ slideshow). 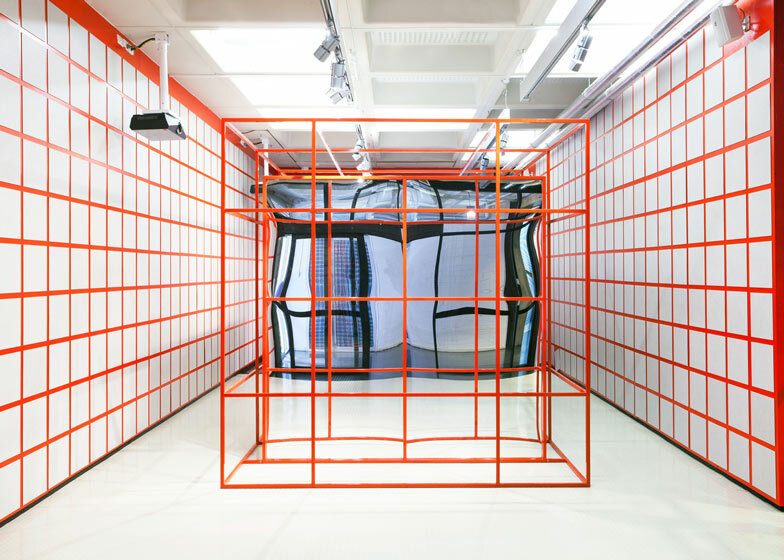 Sibling's installation, called ON/OFF and presented at the University of Melbourne earlier this autumn, featured a Faraday cage - an electrified mesh enclosure that blocks electromagnetic signals and creates a "cold spot". 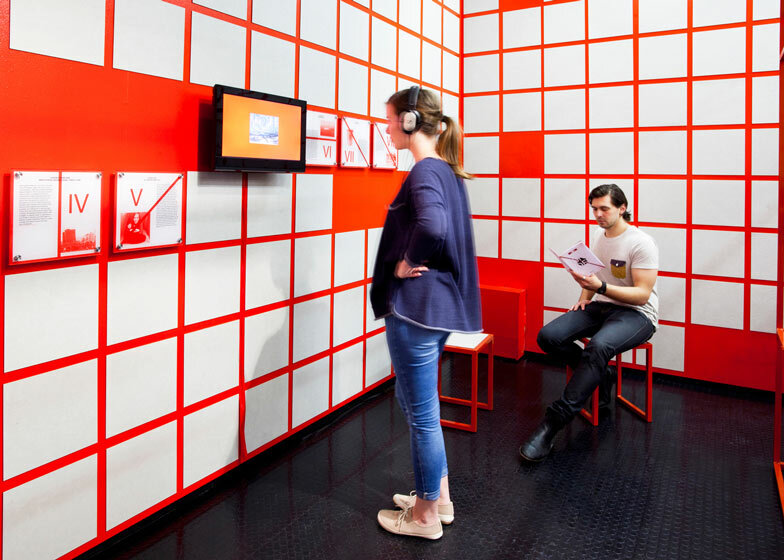 The designers created the cage in order to achieve the opposite of what most contemporary design and technology tries to achieve: to disconnect people, rather than connect them. "Connection is a popular motif in design," write the designers. "All types of infrastructure - bridges, pathways, transportation, service systems, forums and applications - wish to tie into the urban fabric and make things productive. "However, there is also an opposite tendency: the act of disconnection. Sibling asks: How can one remove oneself from connectivity?" 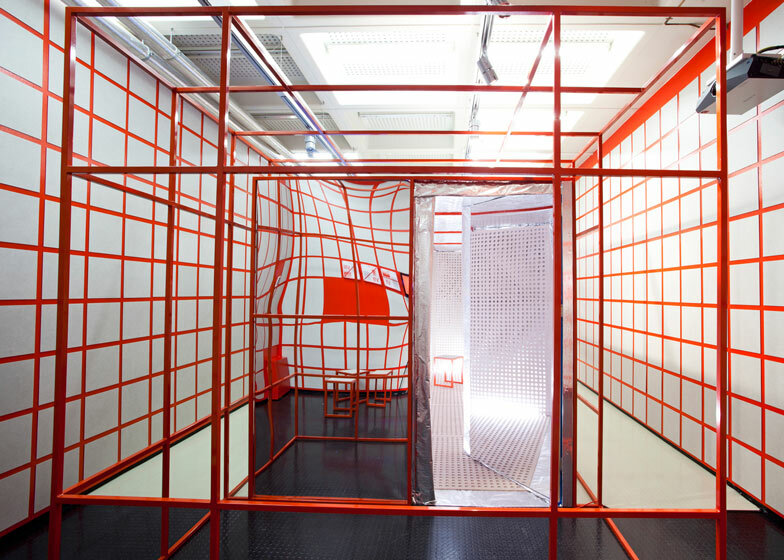 The outside of the cage was clad in mirrors while the interior had perforated surfaces. "We used circle-perforated sheeting in order to symbolise the interior as being off the grid, as one is disconnected from technology," said Sibling's Timothy Moore. "This is the reality as one will notice upon entering and sealing the door that their smartphone Wi-Fi bars will drop slowly until they turn off," he added. Faraday cages were invented by English scientist Michael Faraday in 1836 and are used to conduct sensitive experiments and protect delicate equipment from interference by electromagnetic waves. On/Off was installed at the University of Melbourne from 13 September- 4 October as part of the ABP Alumni Survey Series. Talks took place within the cage, which accommodated up to ten people. The right of connection – to housing, health, education, the internet, financial capital – allows humans to improve the spaces they occupy in the world. Heightened connectivity also demands an opposite tendency: the ability to switch off. 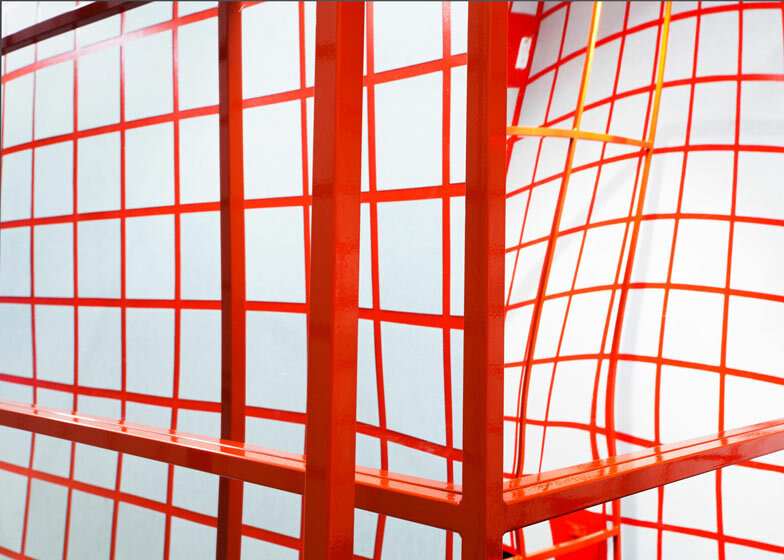 On/Off takes an extreme position on connectivity through the construction of a type of Faraday cage. Discovered by Michael Faraday in 1836 it is a structure covered by a conductive material that prevents electromagnetic charges reaching its interior. It is the ultimate disconnection space. Within the mirror-clad monolith created by SIBLING sits a starkly warm space where smartphone reception is blocked. 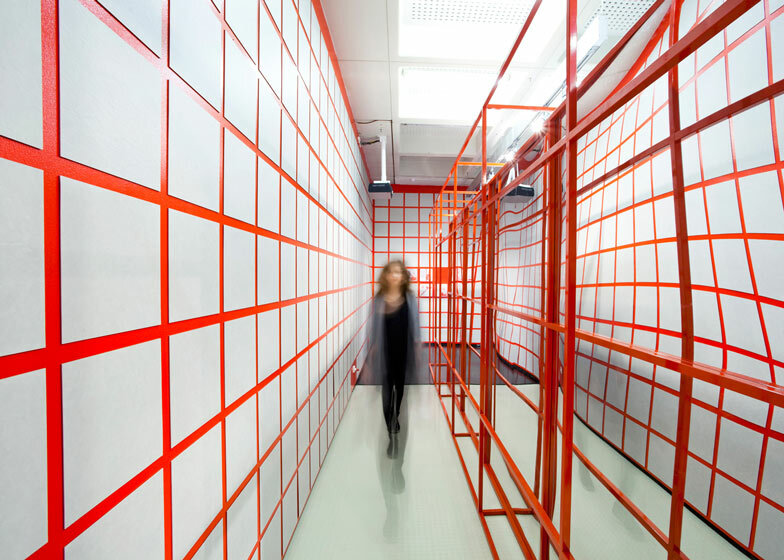 It is a gesture to physically connect people in a space with architecture creating a filter (or temporary firewall) between the individual and the world. 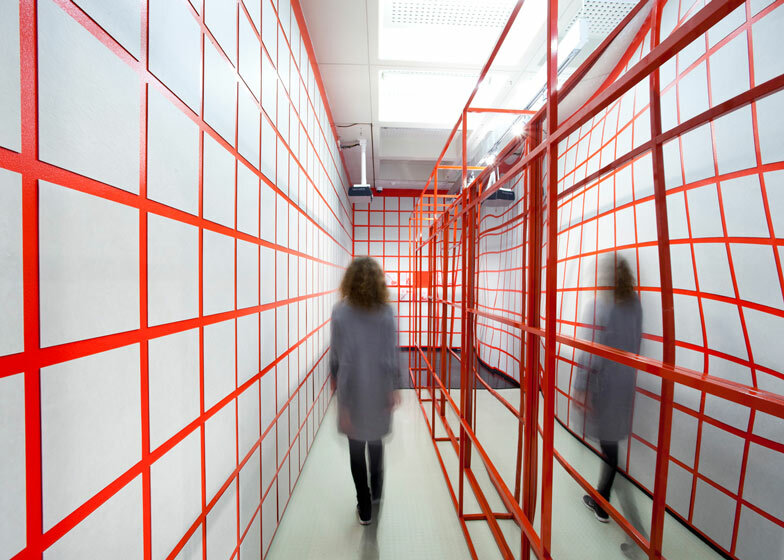 The space of disconnection is situated within a red grid, which provides a flattened interior without hierarchy or end. This vastness is reflected by the mirror into infinity creating a neutral environment from which to begin social experiments in cold spots. On/Off was an exhibition at the University of Melbourne from September 13 - October 4 as part of the ABP Alumni Survey Series. 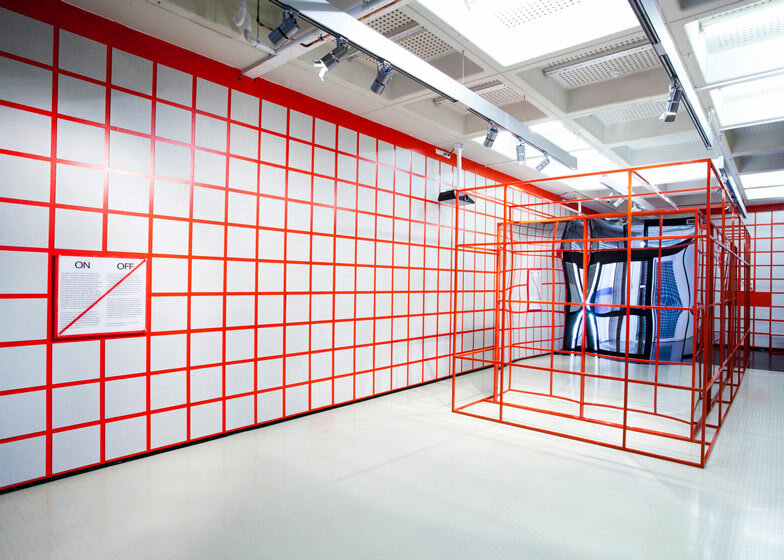 During the exhibition a series of events occurred – arduino workshops, well-being seminars and lunches – to experiment within a space of disconnection. A film and book also accompanied the exhibition.